As beauty editors, we can pretty much figure out a way to “accessorize” any part of our look with makeup. (We spend a lot of time playing in front of the mirror.) And we’re not talking the usual “pop of color” or “unexpected twist” on your favorite look — we like to get majorly experimental with colored brows, artistic eyeliner, and more. And now, we’re turning to lashes. Yes, eyelashes. In this step-by-step video, we’re thinking beyond just mascara and showing you how to create metallic, blue-tipped lashes in all of one minute. (Or you can choose whatever shade complements your eye color.) 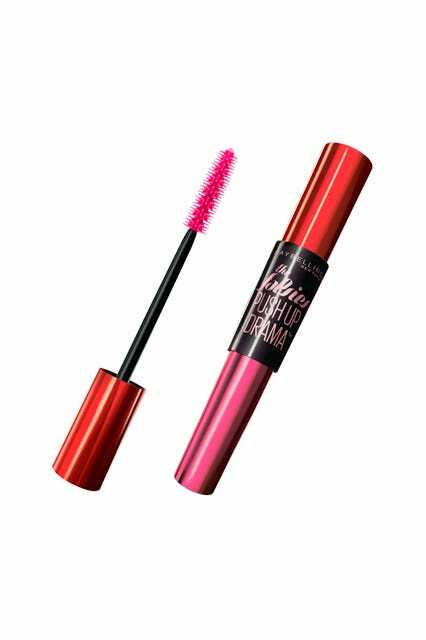 The key is to start with a lengthening mascara that’ll make your lashes appear sky-high, like Maybelline The Falsies Push Up Drama Mascara. Then, use a shadow brush to lightly dust a cream shadow or loose powder pigment over your lower lashes. See the full tutorial above, and remember — sometimes more is more.